RUSH: You know, sometimes I feel petty even mentioning this, but if I don’t say it, I don’t know who will. You heard the story that Jimmy Kimmel’s out there saying the only reason that there are liberal talk shows is because you need a certain amount of intelligence to do one, and conservatives just don’t have enough intelligence to do a talk show. I assume he means late-night TV talk shows. Now, Kimmel is a funny guy, but he’s an idiot. He really is an ignoramus. He doesn’t know what he doesn’t know. He’s one of these guys that doesn’t know what he doesn’t know and thinks he knows everything because he’s got a pipeline to Chuck You Schumer’s office when it comes to health care. So there are a number of different conservative websites doing counter stories, and what they’re doing is publishing lists of conservative talk show hosts who are obviously brilliant and using evidence such as how many books they have written and how many speeches they give and all that sort of stuff. And I invariably make this list, and they mentioned that I’ve written a bunch of books, nine books and so forth. But they’ve got this audience figure out there, weekly cume of 13.75 million. And we’re almost double that. And I’m wondering, where does this number come from? It doesn’t come from us. These are conservative blogs publishing this. So it’s probably from a trade magazine or newspaper that also doesn’t have the numbers. So they’re speculating and guesstimating and all that. You know, I say this stuff, I don’t mention it 90% of the time I see it. I mean, it was in the Washington Examiner, which is a conservative paper. Then there was one mention in the — I forget where. So it’s obviously coming from a trade source. But we are going through the roof. We are at peak audience. In 29 years, the audience has never been larger than it is now. Subscribers to the website never larger than it is now. Now, I can’t tell you how gratifying it is. And it’s all because of you people being out there and admitting it when people come along and ask you. But I see that number, it used to be 14. They’ve got us losing audience. And this is in so-called favorable media. Now, none of the other intelligent hosts in the list’s audience are even mentioned. Well, Dennis Prager’s in there on this list and Andrew Klavan and Ben Shapiro, I mean, the list is endless. The idea that the reason that there aren’t any conservative late-night TV talk show hosts is that they don’t have enough intelligent ones, that’s not the answer. The people that do the hiring for these positions are not going to hire, wouldn’t dare hire a conservative. Can you see me being hired to do the CBS Evening News? Oh, if they wanted ratings, but they would never live it down if they tried. Well, they wouldn’t do it anyway. 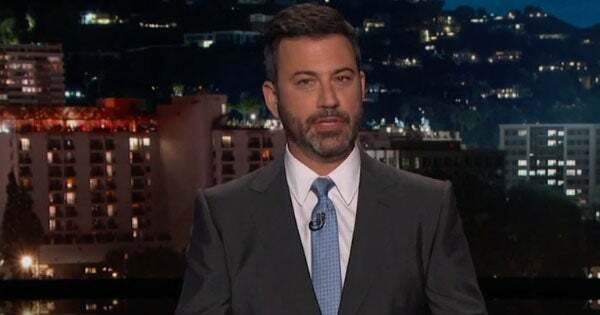 Fox News: Kimmel Says Leftists Excel as Late-night Hosts Because Job Requires "Intelligence"